Today I'm going to share with you a few photos of what I did this weekend. 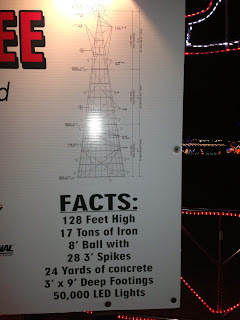 On Saturday we headed up to Duluth to see the tour of lights at Bentleyville. Bentleyville is a huge light display next to the aquarium up there. It was a wonderful path of lights and displays. There were people dressed in reindeer, snowmen and penguin costumes greeting the people. There was a cookie shack (hubby honed in on that one) and I think they had either hot chocolate or apple cider. I don't know because I didn't partake in any. There was a sign that said "North Pole" and that is where the portable bathrooms were and yup, you guessed it. There were more at the "South Pole"! Funny. There were such fun light displays. The first photo was the entrance and exit to the place. The side you are seeing is the exit. At the top of the arches it read "Merry Christmas to All and to All a Good Night." You walk along a tar path and there were lots of archways of lights and on the sides were themed displays. There was one of the Duluth canal with Santa in a ship and the lift bridge. There was so much detail in each display. You have to go and see this for yourself. Also along the path (near the South Pole) was a popcorn stand. Of course we had to stop there and have some. It was wonderful. As we left that area we could see the spot where Santa was sitting and there was a long line of children waiting to sit on his lap. SO cute! As we traveled along the path there was even a little house with Mrs. Santa in it talking to the kids. She looked so sweet. And near the end there was a gift shop but we didn't get a chance to go in it. There were a lot of people inside so it was too crowded. The second photo was of the giant tree there. The photo below it shows some info on that tree. The lights would flash on and off to the music. It was spectacular. We were told that the display assembly begins in late September. I can't even begin to imaging the man hours that went into this. And I'd hate to see that light bill!! The story of Bentleyville is an interesting one. There is a man named Mr. Bentley and he use to have this HUGE light display in his field. It drew a lot of traffic to the area and the people living in the area were not happy. So somewhere along the way some deal was stuck with him and the city of Duluth and now the display is there every winter. I am glad it is there or we would have never seen it. The hotel we stayed at has a shuttle that runs back and forth from the hotel to Bentleyville so we didn't even have to drive there. It was a wonderful and beautiful experience and like I said, I'd do it again in a heartbeat. 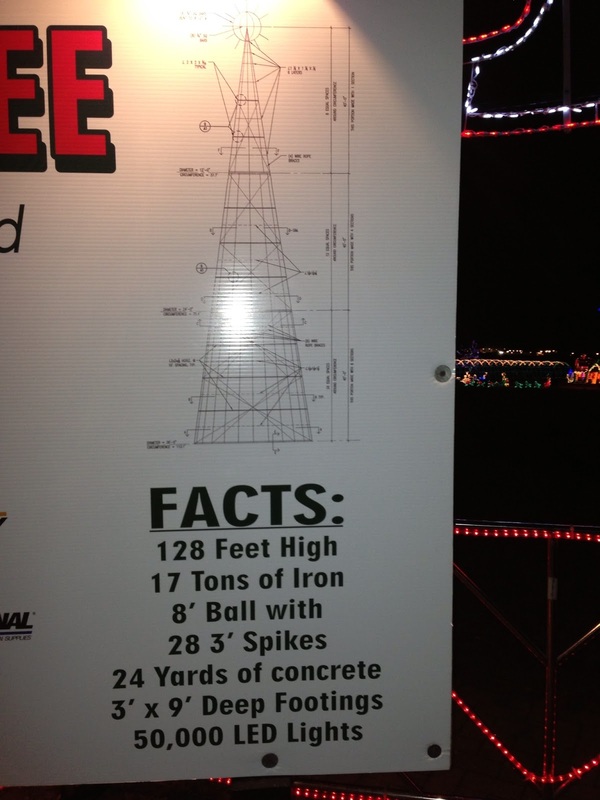 If you want to see more pictures or know more about it just Google Bentelyville Duluth, MN. Then on Sunday morning we headed home in the horrible snowstorm. A 2.5 hour drive took over 4 hours. There were cars in the ditch, icy roads and limited visibility the closer we got to home. It was good too be home. We saw our home but not the driveway. Hubby took a guess at where it was and just drove in! That was the longest and worst ride home ever. Tomorrow I will have a stamping related post for you. I just had to share this with you today.